Three hundred and fifty years ago, a second rate 72-gun warship known as the London spectacularly blew up after a gun powder explosion just off Southend-on-Sea in Essex. It is considered one of England’s most important 17th century shipwrecks. 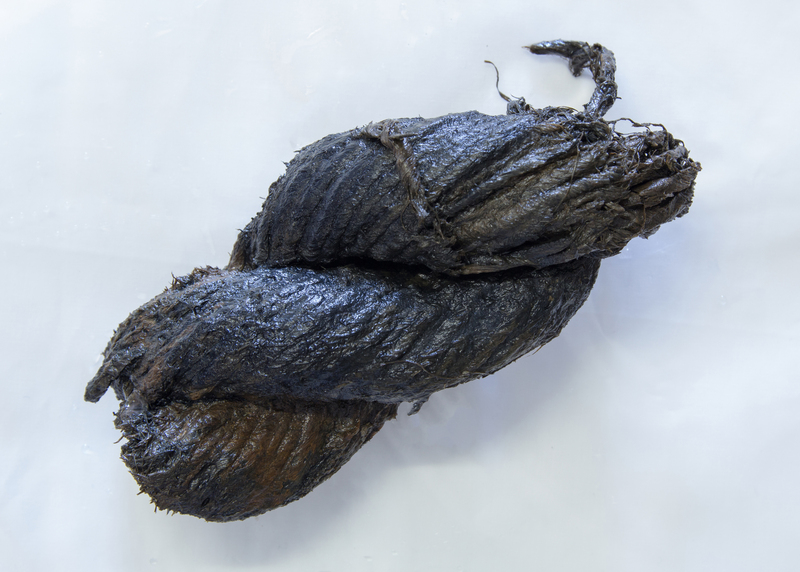 Historic England, Cotswold Archaeology and licensed divers have been excavating the wreck, bringing up more than 150 artefacts before they are lost forever to time, in the Thames Estuary. These finds create a unique snapshot of life on board this warship in 1665. The discovery of candles in the wreck is extremely rare due to their fragility. On ships light is crucial to illuminate the lower decks and to signal. These fragile candles are made of beeswax, as was established by Fourier Transformation Infrared Spectroscopy. The layers from repeatedly dipping the wick into the molten wax can be clearly seen, as can the wick itself. 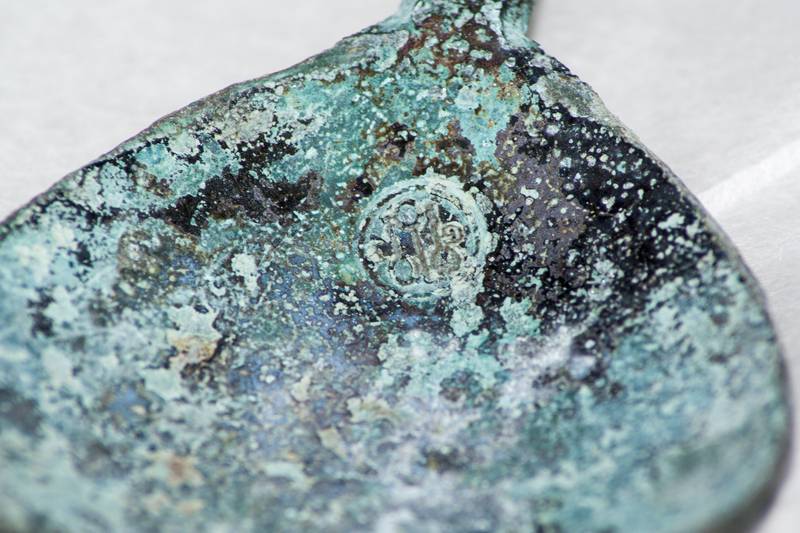 This copper alloy calliper was embedded in a large concretion*. 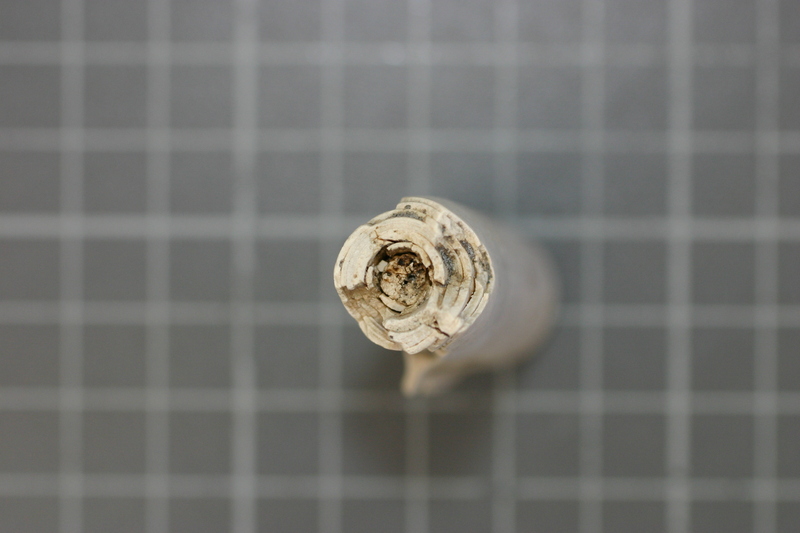 It was carefully removed using a hammer and chisel. It is so well preserved that you can still read the grading on it, which probably relates to shot diameter and/or weights. 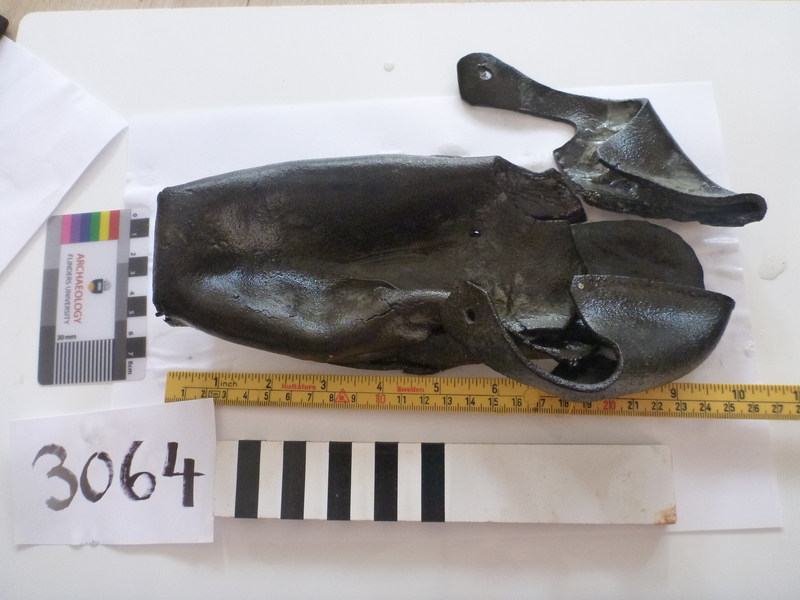 This artefact will give an important insight into naval warfare. 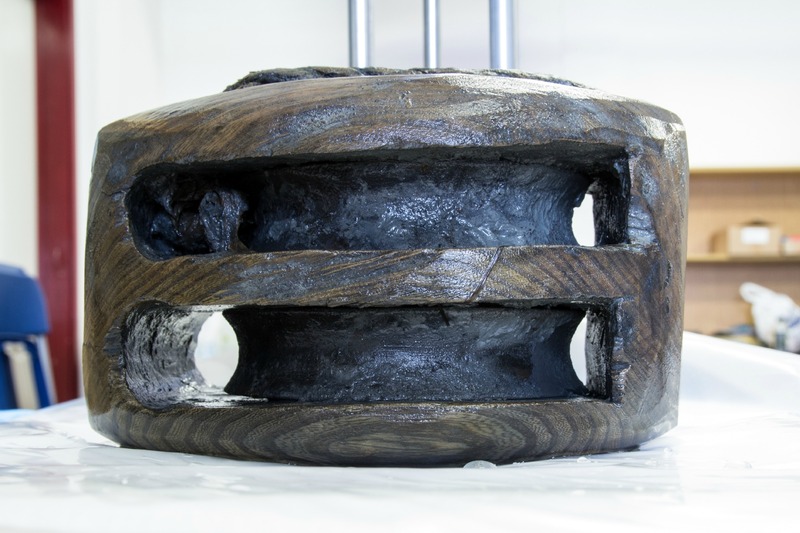 *A concretion is formed when a corroding iron object interacts with the surrounding environment, encapsulating marine organisms, surrounding sediments, corrosion products and even other artefacts in a lump. 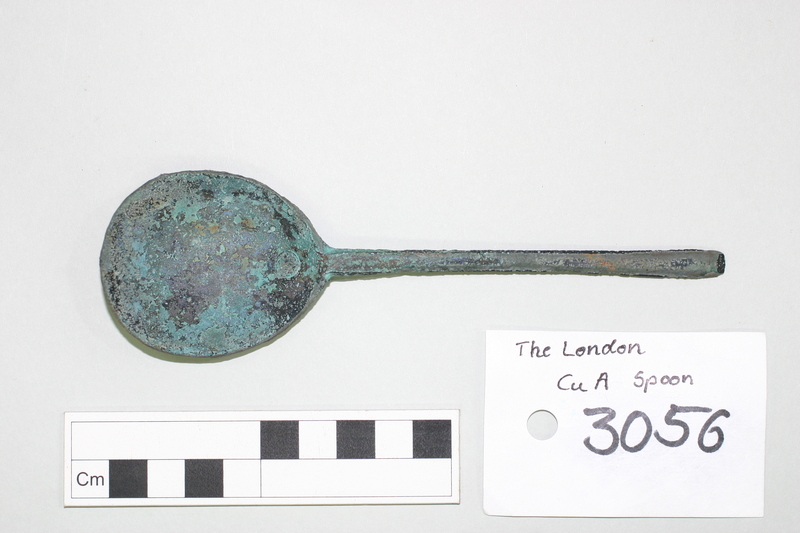 This copper alloy spoon similar in size to a modern day soup spoon is very well preserved with only minimal corrosion. At the end of the bowl, you can see a mark, consisting of three spoons and the initials G and I, all framed by a beaded circle. Further research can possibly link this spoon to historic records and maybe even establish the maker. Personal items such as shoes are really evocative and illustrate the human side of the London story. 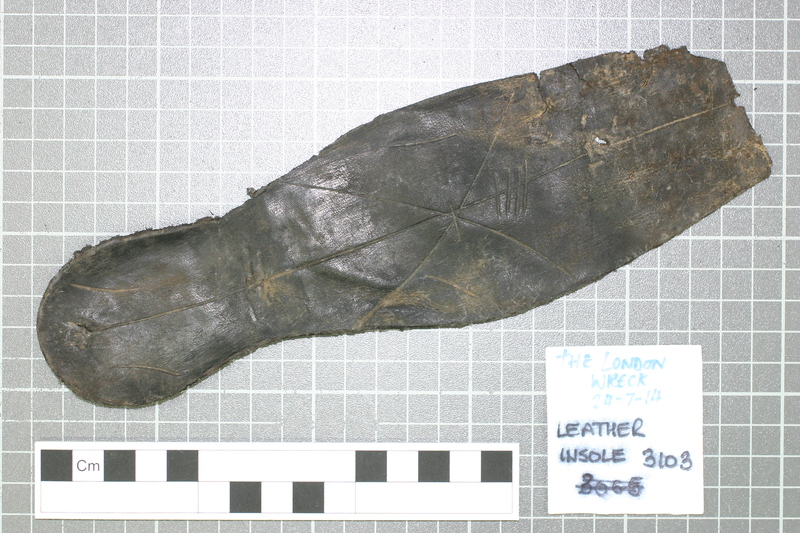 There are several shoe finds and they will provide the basis for research into footwear on-board a 17th century naval ship. The insoles on some shoes have marks on them like the one shown here. Could these be measurements to standardise production of shoes? This double pulley block is in remarkable condition. The wooden block has been protected by centuries of burial that has also preserved fine tool marks and a beautifully smooth surface. Amazingly also a piece of rope has survived within the pulley block. This coil of rope, as well as the double pulley block (see above), is associated with the gun carriage. 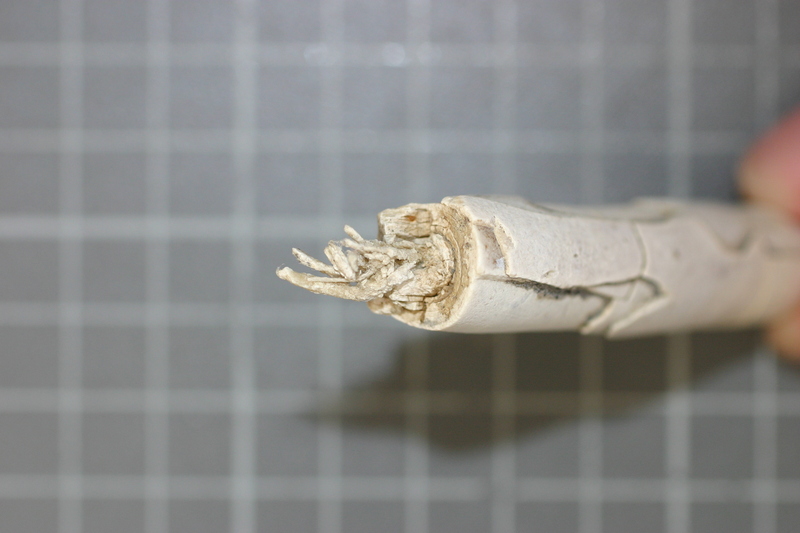 Survival of rope and cordage is fairly uncommon on land excavations. 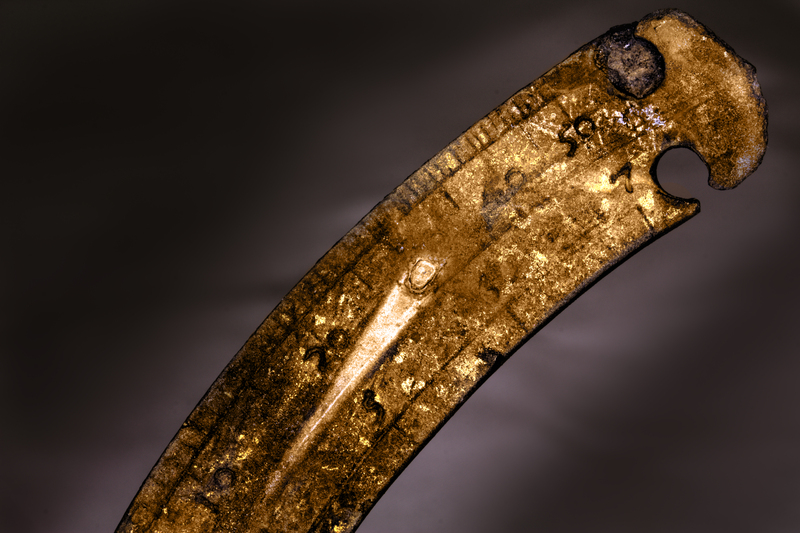 Their preservation in maritime contexts provides opportunities to analyse fibres and rope making techniques. This particular find is made from a plant fibre and still smells of the tar/ pitch applied to it when in use.